Children often like to watch a favourite movie over and over without ever apparently getting tired of it (in my house it was all Star Wars all the time when I was little). Some adults also have a movie they like to watch again to cheer them up when they're sad or for special occasions. Is there a movie, or movies, that you like to watch repeatedly? If so, what is it about it that makes you keep watching it? 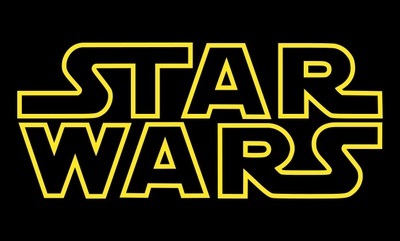 The Star Wars Logo, Lucas Films, Fair Use. I like to watch all the films I own on DVD again and again, but I must have a reasonable space of time in between viewings. I wouldn't want to watch the same film again until at least a couple of months later. When I was a child, this was not the case. I was obsessed with the film Cats & Dogs, and would be quite happy to watch it again straight after the credits finished rolling. My husband and I watch Die Hard every Christmas. There are other movies I watch again sometimes, like Star Wars, Blade Runner and The Muppet Movie. My daughter keeps watching the Wonder Woman movie over and over and I've watched it with her a couple of times. Get something from them every time I watch!